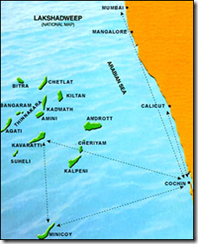 An Indian cargo vessel which left Mangalore port at 0830 hours on 03 November 2007, for Kalpeni island in Lakshadweep with seven-member crew has gone missing. The ship, M V Lakshadweep, belongs to Lakshadweep Cooperative Marketing Federation. The vessel was carrying 140 tonnes of groceries, including around 2,000 sand bags, steel, rice bags and other provision items. The vessel was supposed to have reached Kalpeni around 1000 hrs on 05 November 2007. When there was no sign of the vessel, the Kavaratti Port Officer intimated the Coast Guard station at Kavaratti and sought help for tracing it. The Coast Guard deployed an aircraft and a ship to search for the vessel. However, it could not trace the vessel till late in the evening on 07 November 2007. Though the vessel is fitted with GPS (global positioning system) and other modern communication facilities, there has been no communication from the vessel for more than two days. 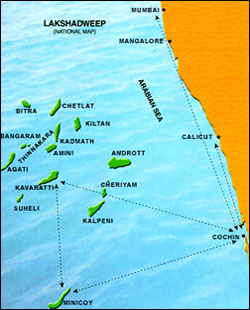 The majority of the crewmembers are from Tuticorin.